Most people tend to think of otters as cute, playful, and mischievous. As she passed a bog during the last part of her swim she felt a bite on her leg. She screamed for help as her father and her young children watched from the shore. Her father jumped in a boat and came to her rescue. By the time he was able to reach her just minutes later she had been bitten two dozen more times. Some of the bites were more than two inches deep. Prudhomme was taken to St. Luke's Hospital in Duluth where she was given antibiotics, and shots for rabies and tetanus. She received more rabies shots after she returned home to the Twin Cities on Saturday. 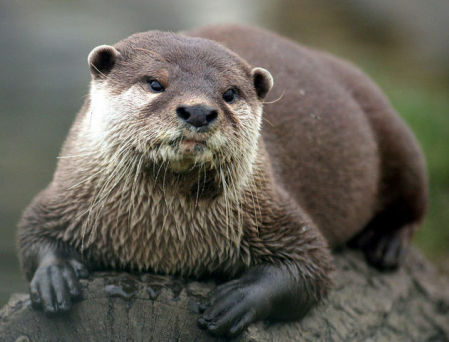 The attack surprised experts because otters prefer to stay away from humans. People swim in the lakes and rivers around Minnesota all of the time without even being aware of the presence of otters. This attack was a singular occurrence. They surmise that the animal may have been rabid or protecting its young. Prudhomme felt fortunate that she had been wearing a wet suit. Though it was shredded, it may have saved her from further injury. The suit shows claw marks and missing chunks that might have come from her instead. the other side of the lake. She was rather sanguine about the idea, pointing out that it was highly unlikely that she would be attacked by another otter.